From a grain deficit country to a surplus producer of wheat and rice within a span of four decades or so, India notwithstanding its huge population has managed to feed them without resorting to imports. Since independence from the British-rule in 1947, India, having the second biggest population in the world, faced two key economic challenges: achieving food security and alleviating poverty. In a country which relies predominantly on agriculture, the focus was to promote growth in agricultural sector to meet both of these challenges. Agricultural promotion programmes were initiated to increase food production for feeding close to 30 crore people in the 1950s. It was the time (1950s and 60’s) when India faced huge food shortage and had to receive food under PL 480, a programme initiated by the United States for providing assistance to countries. From a net importer of food since 1950s, India has transformed itself in the production of food grains (mainly rice, wheat, coarse cereals and pulses) during the last few decades. From a mere 50 million tonne of annual food grain production in 1950s, India last year (2013-14) has produced an all-time record 264 million tonne of food grains, mainly attributed to the significant jump in rice and wheat output. In the last few years, India has also emerged as the world’s biggest exporters of rice after shipping more than 10 million tonne of grain annually. The introduction of high-yielding varieties of seeds and the increased use of fertilizers and irrigation under the ‘Green Revolution’ initiative in late 1960s resulted in rapid expansion of agricultural land and boost in agricultural production. The Green Revolution continued with the policy of expanding cultivable land. The striking feature of green revolution was taking up of double-cropping which implies planting two crops per year on the same agricultural land. 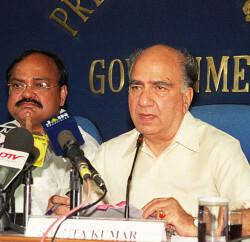 The Indian Council for Agricultural Research (ICAR) under the Ministry of Agriculture played a crucial role in the Green Revolution era of the late 1960s. ICAR developed new strains of high yield value seeds, mainly wheat and rice, millet and corn. The most noteworthy seed was the K68 variety for wheat which pushed up food grain production significantly during the subsequent decade. The ‘Green Revolution’ resulted in a record grain output of 131 million tons during 1978-79. This established India as one of the world’s biggest agricultural producers. No other country in the world which attempted the Green Revolution recorded such levels of success. India also became an exporter of food grains during the same time. 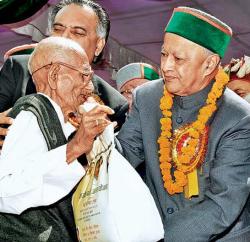 Public Distribution of essential commodities had been in existence in India since independence. PDS, with its focus on distribution of foodgrains in urban scarcity areas, had emanated from the critical food shortages of the 1960s. The distribution of subsidised foodgrains through PDS had substantially contributed to the containment of rise in foodgrains prices and ensured access of food to urban consumers. 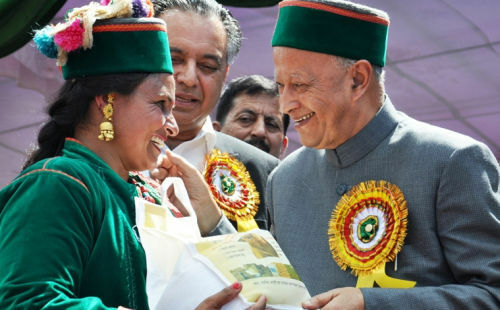 As the national agricultural production had grown in the aftermath of Green Revolution, the outreach of PDS was extended to tribal blocks and areas of high incidence of poverty in the 1970s and 1980s. PDS, till 1992, was a general entitlement scheme for all consumers without any specific target. The Revamped Public Distribution System was launched in June 1992 in 1775 blocks throughout the country. The Targeted Public Distribution System (TPDS) was introduced with effect from June, 1997. The scheme when introduced, was intended to benefit about 6 crore poor families, for whom a quantity of about 7.2 million tonne of food grains was earmarked annually. TPDS also envisaged subsidized distribution of food grains to poor families — classified in India as Below Poverty Line, Above Poverty and poorest of poor families identified as Antyodaya Anna Yojana – AAY. Since 1997, the scale of issue of the BPL families has been gradually increased from 10 kg to 35 kg. per family per month. The quantum of allocation of foodgrains to BPL families was increased from 10 kg to 20 kg per family per month with effect from 1st April, 2000. The allocation of foodgrains for the BPL families was further increased from 20 kg. to 25 kg. per family per month with effect from July, 2001. Initially, the Antyodaya families were provided 25 kg of food grains per family per month at the time of launch of the scheme in December, 2000. The scale of issue of foodgrains under APL, BPL and AAY has been revised to 35 kg per family from the beginning of fiscal year 2002-3 with a view to enhancing the food security at the household level. 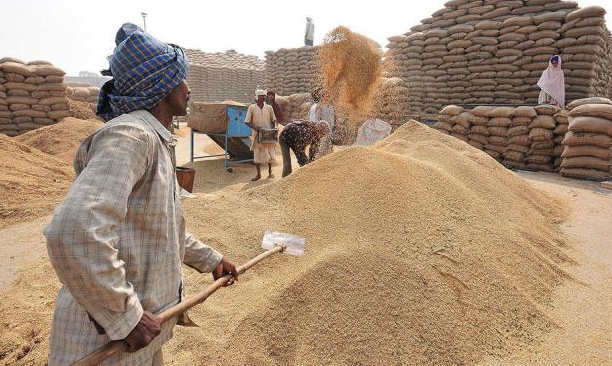 The central issue price for rice to be distributed under TPDS for BPL and APL families in the states was fixed at Rs 5.65 and Rs 8.3 per kg respectively while in the case of wheat it had been fixed at Rs 4.15 and Rs 6.10 per kg respectively. The Antyodaya families get the rice and wheat at Rs 3 and Rs 2 a kg respectively. However the state governments have prerogatives to provide cheaper foodgrains below the central issue price under TPDS by contributing their own financial resources. Support Price (MSP) to farmers. Since its inception, FCI has played a significant role in India’s success in transforming the crisis management oriented food security into a stable security system. However since last few years, the government was contemplating providing legal status to the food security to large mass of people. After debate and deliberations in and outside parliament, the National Food Security Act (NFSA), 2013 was passed last year. Under the NFSA, each person in identified households will get the 5 kg of grain a month at heavily subsidised prices — Rs 3 per kg for rice, Rs 2 for wheat and Rs 1 for coarse grains. NFSA will expand the base of TPDS to around 84 crore population from the current coverage of around 48 crore population. The government is expected to incur an expenditure of more than Rs 1.2 lakh crore annually after NFSA is rolled out nationally. Meanwhile, the government has asked states to roll out NFSA by April, 2015. Till now eleven states and union territories – Punjab, Haryana, Rajasthan, Himachal Pradesh, Madhya Pradesh, Bihar, Chhattisgarh, Maharashtra, Karnataka, Delhi and Chandigarh have so far implemented the Act — some of them fully and others partially. However, many of the larger states, including Uttar Pradesh, West Bengal, Odisha, Jharkhand, Andhra Pradesh and Telengana, with a substantial poor population, have yet to take the plunge. Due to increase in Foodgrains production and procurement by FCI, the government agencies have huge foodgrain stocks which far exceed the requirement. On October 1st this year FCI along with state government owned agencies had a grain stocks of more than 52.3 million tonne (32.2 million tonne wheat and 20.1 million of rice). These huge grains stocks are against buffer stocks and strategic reserve norms of 21.2 million tonne. As far as India is concerned, it has taken a substantial leap on the Global Hunger Index. According to a recent report, India has gone up to the 55th position as compared to last year’s 63rd. This means that there has been significantly lesser number of hungry and malnourished people across the country. The credit goes to the several government programmes including TPDS that were rolled out to tackle malnutrition. Experts say that the government must in collaboration with states plug loopholes in the TPDS so that grains reach the targeted population. Computerization of TPDS and beneficiaries lists have been going on a fast pace. The government at present has its task cut out for creating huge modern infrastructure for storing and transporting food grains. More than 15 million ton of food grains storage capacity would have to be added during next few years. For saving food grains from vagaries of weather, the government needs to take up food grains storage creation in a mission mode so that access to the food grains could be improved. Better stocks management would also lead to keeping prices under control and ensure smooth supply of grain under NFSA.